The Africa Food Prize began as the Yara Prize, and was established in 2005 by Yara International ASA in Norway to honor achievements in African agriculture. Moving the Yara Prize to Africa in 2016 and rechristening it the Africa Food Prize gave the award a distinctive African home, African identity and African ownership. 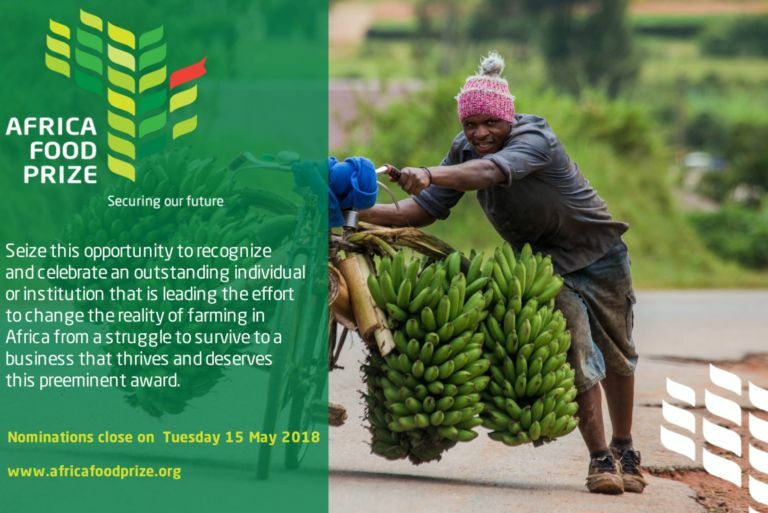 The Prize has brought much-deserved recognition to 17 recipients from Ethiopia, Kenya, Malawi, Mozambique, Nigeria, Rwanda, Senegal, Tanzania, Uganda and Zimbabwe whose outstanding achievements point the way forward to a more vibrant farming sector for the entire continent by making African farms more productive, profitable and resilient. Current or recent members of the Africa Food Prize Committee, or an institution/ organization headed by such a member, are ineligible for the Prize. The Prize cannot be awarded to a person already deceased, but will be presented in the event a Prize winner dies before receiving the Prize The Prize can be awarded to more than one winner, but not more than two. If shared, each winner will receive equal prize money (USD 100 000 divided in two), a diploma and a trophy. African Food Prize Price Objectives. In its deliberations, the Africa Food Prize Committee will furthermore emphasize the value of the nominees’ achievements with regard to visionary thinking, their role as motivator and rallying point in the campaign against hunger and poverty, as well as their inclination to share knowledge and cooperate. African Food Prize Nomination & Selection Procedure. The nomination process for the Africa Food Prize 2017 starts with nominations being sent to the Africa Food Prize Secretariat by Monday, 5th June, 2017. Nominations must contain the information requested in the Nomination Guide. The Africa Food Prize Committee chooses the prizewinner by unanimous vote. The Committee has absolute authority and its decisions cannot be overruled or appealed. In order to be considered by the Africa Food Prize Committee, all nominations and supporting documentation must be received by Tuesday 15 May 2018.